I for one have always been confused when it came to fat. We have had it drummed into us for years about how fat is, well, making us fat! So I thought I would have a look at the facts about fat to see what the different types are and how they impact our bodies. For a long time low fat products have been considered the healthy alternative but despite the low fat/low calorie market being one of the biggest there is, people aren’t getting any slimmer or more importantly… healthier. This is because when you remove the fat from something, the flavour usually goes with it! So often the fat will be replaced with sugar, which is even worse, leaving you feeling unsatisfied. One of the great things fat does, is it signals to the brain that you are full. Fat and protein are the main nutrients that have this function, so getting fats into your diet everyday will make you feel fuller for longer and it’s very beneficial for your health. We do need fat as part of a healthy balanced diet but it’s so important to know what types of fats are going to benefit you. Fat is essential for our bodies as it provides energy and there are many vitamins which are fat-soluble, meaning they need to be consumed with fat in order for the goodness to be absorbed. Vitamins A, D, E & K are all fat-soluble and are great for things like glowing skin, strong bones, a healthy immune system and ensuring your blood clots. Monounsaturated and Polyunsaturated are the “good fats” I believe we should try to consume daily to maintain our good (HDL) cholesterol levels and keep our hearts healthy. Monounsaturated fats help to improve insulin sensitivity, which has a huge impact on the risk of type 2 Diabetes and it’s also great at protecting your cells from damage. These are mainly plant based and can be found in; avocado’s, almonds, peanuts, cashew nuts, hazelnuts, macadamia nuts, olives, olive oil, rapeseed oil. Polyunsaturated fats are similar to the above but have the all-important fatty acids. Omega 6 and omega 3 fatty acids found in oily fish are crucial for us, as our bodies cannot produce it themselves. They are amazing for heart health too as they help to reduce the risk of stroke and heart attacks and reduce blood pressure. Polyunsaturated fats can be found in oily fish (such as salmon, mackerel, sardines, herring, trout) flax seeds, sunflower seeds, walnuts, sesame seeds and leafy greens. One of the other great things these two fats do is fight inflammation, which can negatively impact the body in so many ways. Chronic inflammation has been linked to many major health issues like cancer, diabetes and arthritis which is why it’s recommended you eat oily fish at least twice a week. This doesn’t have to be expensive though, I usually have good quality fresh fish for one evening meal and then have lots of tinned mackerel and sardines in the cupboards as they are cheap and are easy to throw into a salad/pasta/quinoa dish. Saturated fats usually come from animal products such as cheese, meat, processed meats and dairy products such as butter, cream. They are usually solid at room temperature and because of this it is used in a lot of processed foods to give them a longer shelf life. Saturated fat (for the most part) is the stuff I believe you should try keep to a minimum in your diet. Saturated fat is high in things like red meat and is said to increase the bad LDL cholesterol, which can lead to heart disease and strokes. However, there are a few exceptions to the rule and coconut oil is one of them! Coconut oil and many coconut varieties are high in saturated fat but are so good for you and this is due to the fatty acids they are made up of. Medium-chain triglycerides (fatty acids) are very easy for your body to breakdown and convert into energy and can be absorbed into cells quickly. Most other saturated fats are made up of long-chain triglycerides that require special enzymes to break them down, so often they are stored as fat straight away causing problems for your heart and cholesterol. 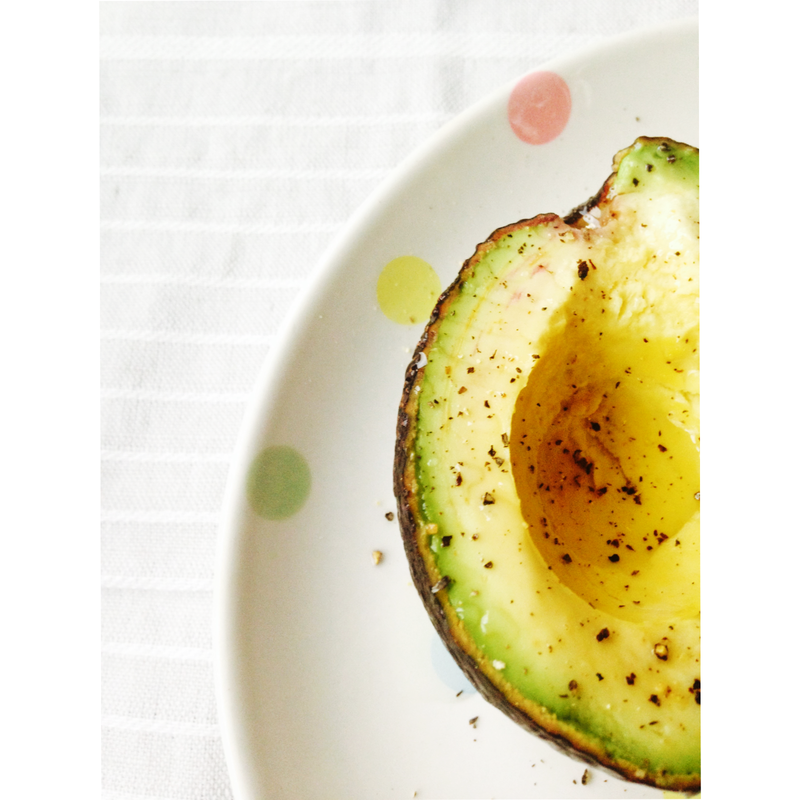 Increasing your intake of good fats is so easy to do and doesn’t have to be expensive. As amazing as it would be to have smashed avocado and fresh smoked salmon every day (I wish!) 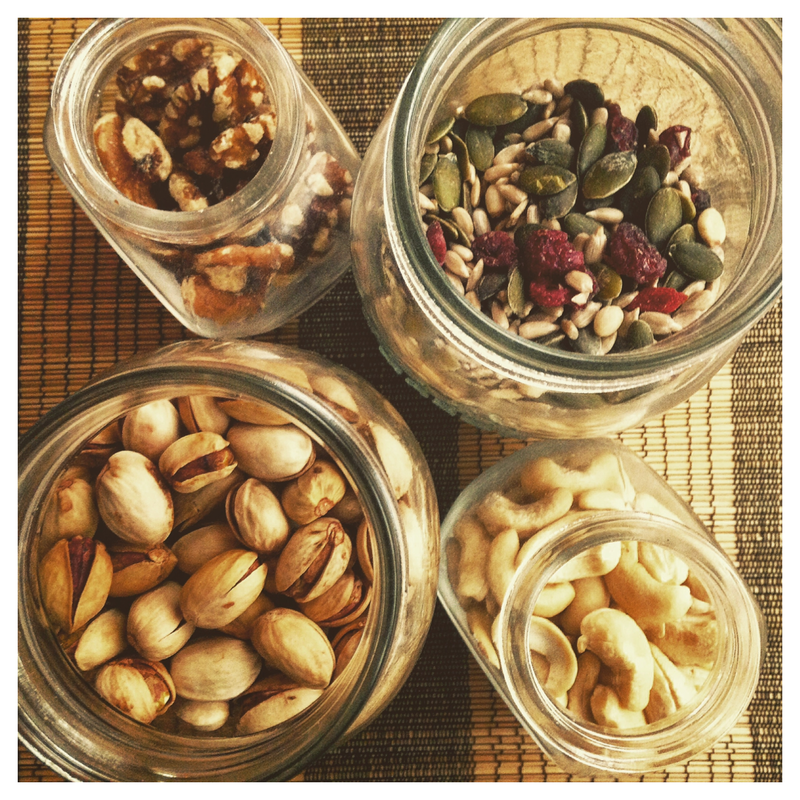 having a handful of nuts and seeds daily will give your health such a boost. Sprinkle them on salads and soups, stir into your porridge or smoothie, you could even make up some healthy fat salad dressing with extra virgin olive oil and balsamic vinegar. All natural nut butters are another great way to get healthy fats in but just make sure they don’t contain any palm oil or additives. Or… you could just keep it simple and take a little bag of mixed nuts and seeds to work with you or keep in your bag if hunger strikes! I hope this post has made the idea of fats a bit simpler, less scary and will hopefully encourage you to eat more of the good stuff!